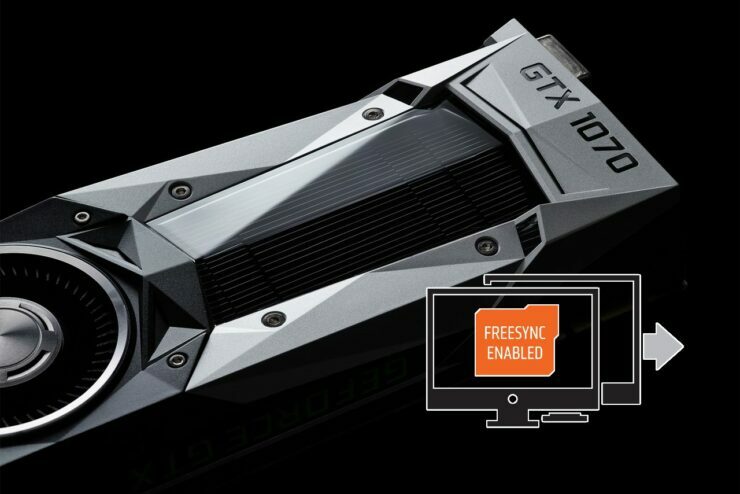 In the wake of a barrage of GeForce news lately this one may have slipped under radar. If you thought Radeon on an Intel chip was a strange occurrence, wait until you get a load of this. Reddit user bryf50 posted about it while survfate posted the steps needed to get FreeSync working on his GeForce GTX 1060 over the weekend and we had to try it for ourselves to see if not only it was working, but how well. The catch here is that to get it working you’ll need to be using an APU, we went with a Ryzen 5 2400G as it was similar to the posters 2200G. Based on the way it works it should work with any APU that has the necessary output to a FreeSync capable monitor. We stepped things up a notch to use the GTX 1070 with our 2400G to try and capture some performance metrics and see if there was any perceivable latency issues. We did find a couple of abnormalities, the biggest being Unigine Valley was simply acting strange and never performed right, but it’s only being used as a demonstration in the video below.